My favorite park with my favorite people, seriously :) Britt and Leo have become family, or maybe better yet they have made me a part of their family! Of my 4 Disney trips in the past year Britt and Leo were with me on 3 of them. Crazy! But for real I love getting to hang out with Disney friends in the parks. Two posts ago I talked about coordinating looks with friends while you are in the parks and it is something I just love to do. 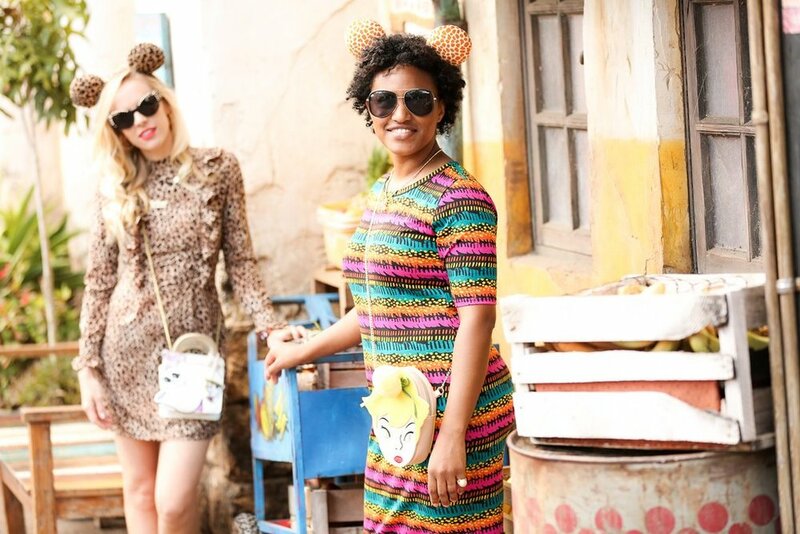 Britt and I created these fun DAK themed looks with some of our favorite brands to wear. We went shopping together at Topshop and found some super cool dresses on the sale rack! 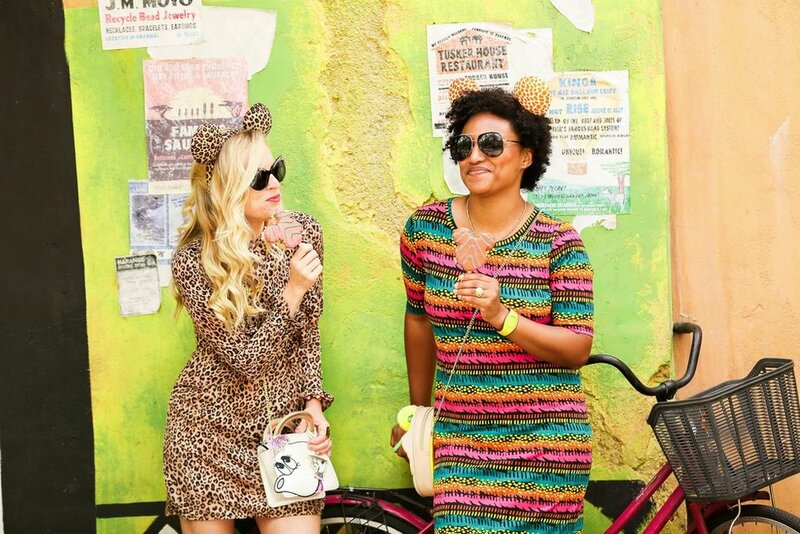 We already had our cheetah and giraffe ears and our Danielle Nicole bags and Jewelry. I love mixing and matching characters and looks. It is so much fun to do Disney outfit mashups. Britt had on Little Mermaid jewelry from Couture Kingdom , while I went with The Lion King. Life is too short to be one character at a time :p so why not wear them all at once haha! I have been working on coordinating more looks with my cousins for our upcoming trip and I just can't wait to see how it all comes together. I think that one of the best parts of a Disney trip is in the planning and excitement, and coordinating looks makes it a really fun group activity that builds up anticipation to your trip together. I want to hear from you? What do you think? Would you give coordinating a go, or is it a no?